When you have a tooth abscess you’ll know it. The affliction is a very painful infection located at the root of your tooth. This is beneath in between the gum and tooth. The unpleasant way the abscess can be found is when a dentist taps around in your mouth and you feel intense pain when that tooth is tapped. They will also check to see if the gum around it is swollen. 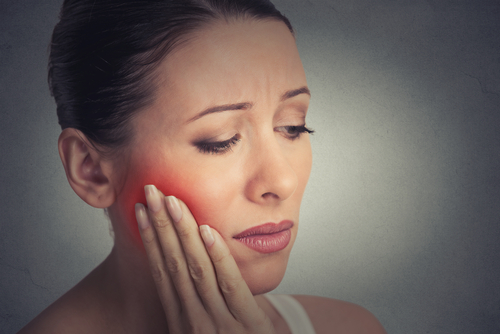 An abscess tooth is caused by decay that’s gone beyond bad, and this is the most common cause. If you don’t brush and floss regularly then the decay can go all the way to the root and then you have bigger problems. Don’t ever let a cavity go. It can also be caused if you break a tooth or have gingivitis. When you break your tooth or suffer from gum disease the tooth’s enamel can crack just enough to let the bad bacteria in. What Issues Come From This? Besides severe pain that throbs or shoots through your moth there are other problems that can occur. These can include hot and cold sensitivity, bad breath, swelling in the gums and glands, an open sore on the gum, painful chewing, and a fever. If your tooth dies then the infection has killed it and it won’t hurt anymore but it can spread. If you have these symptoms see a dentist immediately. There are a couple of ways an abscess tooth is treated. The abscess needs to be drained in some cases to get rid of the t infection. That’s when you get something called a root canal. The infection is removed and then the tooth is crowned. If the tooth doesn’t need a root canal because there isn’t that much decay yet then they can make an incision into the gum and drain it that way. The dentist will also prescribe an antibiotic to help fight the infection leading up to the surgery. Prevention is the best way to go so take care of your teeth so you don’t have to go through this kind of suffering.